Will I need to bring beach towels, chairs, beach toys for the kids? We are happy to report that we supply all the necessary equipment, and then some…..for a fun filled day at the beach. We like to travel with our pets. Is your inn a pet friendly inn? We would like to think of ourselves as pet lovers, however because our inn is situated right on the beach and we only have a small garden area for our guest to relax and enjoy their time with us, we have decided it is best not to include pets of any kind to our inn. What other activities are available to families who would like a beachside vacation at your inn? Well, there are so many things to do in Harwich Port other than the beach. 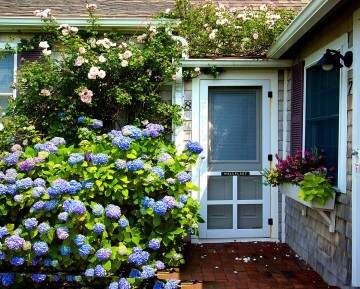 A brief walk to the center of town will allow you to browse the shops, have a nice lunch, grab an ice cream or bike the cape cod rail trail. If walking and hiking is something you might like to do there is also the conservation walking trail to view all sorts of flora and fauna. A short ride away is the harbor where you can charter a fishing boat, take a sailboat ride or just have lunch at the harbor. There are many other activities minutes away such as, mini golf, go carts, bumper boats, and a trampoline jumping park. Every other Wednesday evening Harwich Port comes alive with a festival atmosphere where bands play on on the corners of the streets while onlookers get a chance to see street performers entertain the many vacationers who visit Harwich Port in the summer. The Harwich road race held in June is another family event where you can enjoy the festival like atmosphere with family and friends. 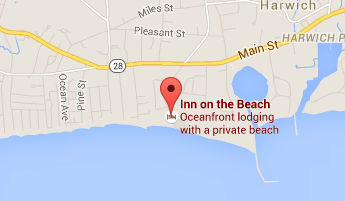 Does the Inn on the Beach have WiFi? Yes, all of our rooms have access to wireless, high speed internet.